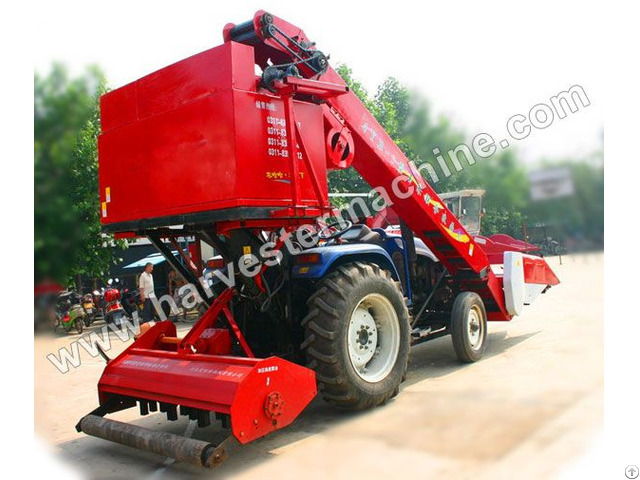 4YB-3(4) corn combine harvester is matched with 48Kw (65hp) above wheeled tractor. 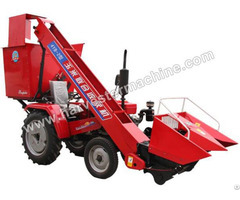 It fully takes advantage of existing tractor power and walk device, increasing the use ratio of tractor. The corn harvester is equipped with unique reel initiative feeding device, so the operation is not restricted to the row pacing and number of rows. 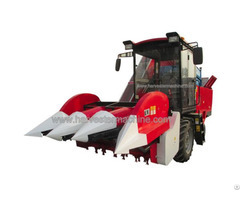 4YB_3corn_harvesting_mach ineWhen harvesting corn, the middle stripping device is mainly in alignment with one row, the cutting paths of the left and right hand as compliment. 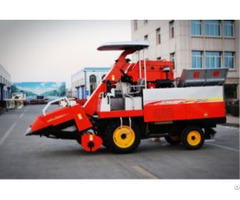 This corn combine harvester can complete the process of picking, packing and straw returning at a time, not restricted to the row pacing and number of rows. The number of harvesting rows is three or four.